Since the last few years, there have been several advancements in the field of gaming. People look for realism and gameplay. Virtual reality has opened up several new doors for the entertainment industry. This new technology helps to ease our life. 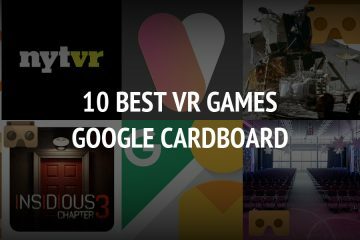 There are many games and apps that help the customers get an amazing VR experience. Without leaving the comfort of your home or office, you can travel to a new world with your VR headset. 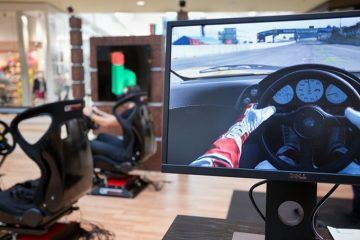 This new innovation by the tech world offers a three dimensional environment that provides interactive experience to the gamers. The games are designed to offer an awesome VR experience to the gamer. Latest VR games can be played on different devices with a single gamer. Latest version of such games can be played on your android or ios phones. How exciting it would be to fight against demons or experience scuba diving all within reach of a VR headset. All this is possible with VR games. What Is The Reason For People Loving Vr Games? One of the major reasons why VR games are becoming popular is that they render an immersive experience to the players. Such games not only allow the users to observe the game, but also get inside it. A 360-degree video content along with amazing sound effects and dense graphics provide an awesome VR experience. VR arcades offer a new level of interaction to the gamers. Players can modify the gaming environment as per their choice. VR games offer an amazing content. Shooting or adventure games are gaining more popularity amongst the gamers these days. VR experience can allow the users watch movies in a way that they are a part of it. Isn’t that amazing and exciting? VR games are surely a great mental investment that makes you feel refreshed and rejuvenated like never before. Whether you choose a VR game with physical experiences like climbing or jumping, or a horror game, it would be fun for you. The players face fear and thrill that cannot be experienced in real life. You can even walk into the space with a VR game and experience how other planets look like. There is no denying that Virtual Reality has a bright future in the gaming industry. It is already a part of gaming industry with several different games being developed with this technology. It will continue to power many different genres of games in the coming years. This technology has a lot of potential for gaming, education, tourism, healthcare, and other industries also. Let’s wait to watch what VR brings in for the future generations. Gamers have started loving VR games as they provide them with a unique and exciting experience. Such games offer an incredible experience to the players. LevelUp Reality is a leading VR arcade in Toronto Canada helping people get an immersive and entertaining experience with VR games.